On January 23-25 Hantverk Galleri in Bishop Hill presents the Weekend Wedding Affair, a 3 day show of wedding ideas you won’t want to miss. Hours are noon to 8 pm on Friday and 10 to 5 Saturday and Sunday. Admission is free. 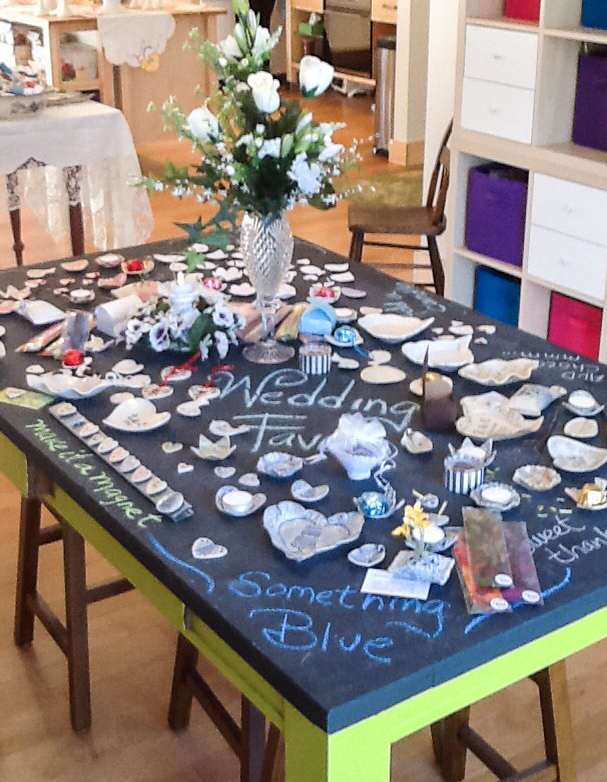 Prospective brides, grooms and families, along with anyone who may be attending a wedding this year will find the best local and handmade wedding necessities. Stunning porcelain cake stands to show off the wedding cake, wedding bowls decorated with inspirational sayings, platters for guests to leave a message or signature on, personalized wedding favors in porcelain or chocolate, handmade dinner sets and gift ideas for everyone in the wedding party will be on display. Information on picturesque Bishop Hill wedding and bridal shower venues, restaurants and B&B’s will be available. Special guest, Nicole Tisdell, event planner and owner of Nicolet Events will also be in attendance. She has recently relocated to Central Illinois from the St. Louis area, where she worked full-time planning all types of events - everything from intimate gatherings to elegant formal events. She has a wide range of expertise and can help make wedding, party, or business planning stress-free and enjoyable. Guests will have an opportunity to register for a number of unique draw prizes, including a beautiful Victorian style handmade cake stand. Plan to have a meal in Bishop Hill before or after the Weekend Wedding Affair.